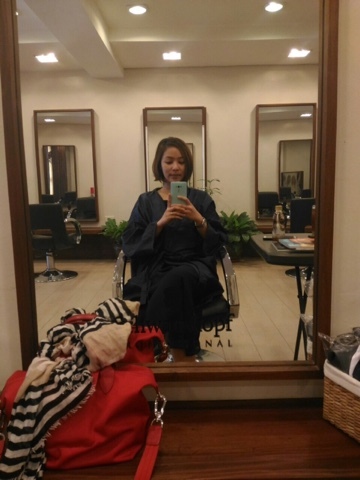 Me Time at Cedar Salon* | Vanity and Everything in Between. 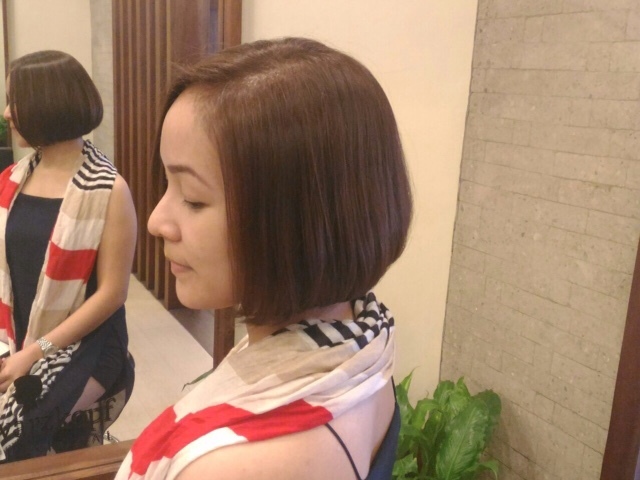 A few weeks ago, I was invited by Digify to try the hair services of Cedar Salon. 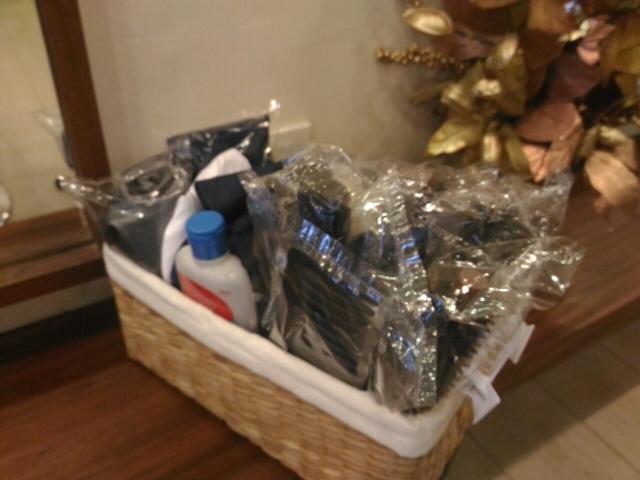 It's Yuletide season and Cedar Salon recommends Schwarzkopf Metallic Collection and Milbon Linkage Meu hair aromatherapy. Resident hair stylist, Jake, checking my hair and thinking of what shade to use on me. 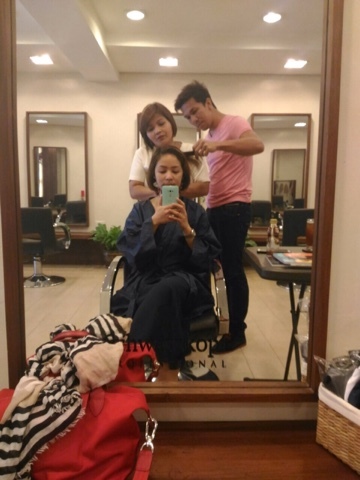 I was the first client that arrived at Cedar Salon. The salon was not that big but it's still spacious. Very clean, too! Wanna talk about hygiene? Brushes are sanitized and individually packed in a plastic. They also massage your head and face a bit using a hot face towel with alcohol for that menthol effect. But first, let me take a selfie with my phone. 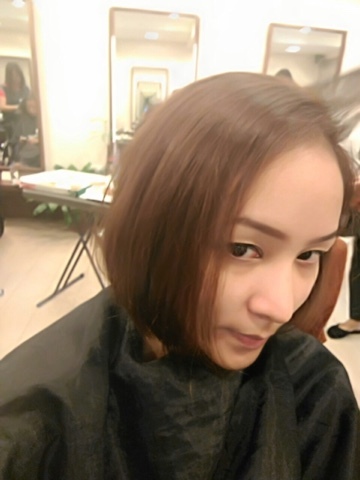 They first toned down my hair and evened out the colour by using Schwarzkopf shade in 7.55 on me. 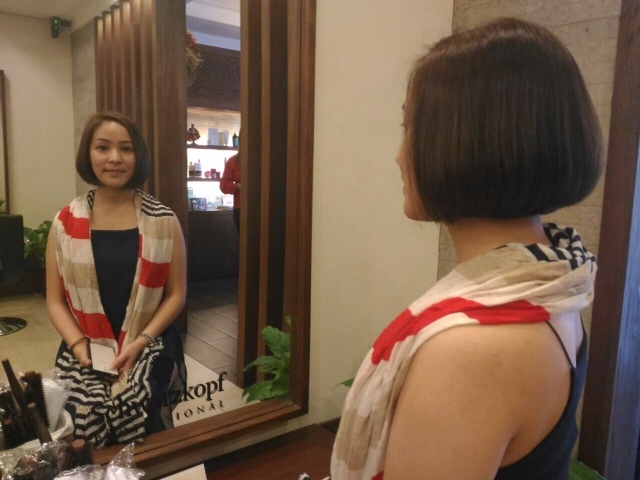 After that, they used the gray shade of the Schwarzkopf Holiday Collection. 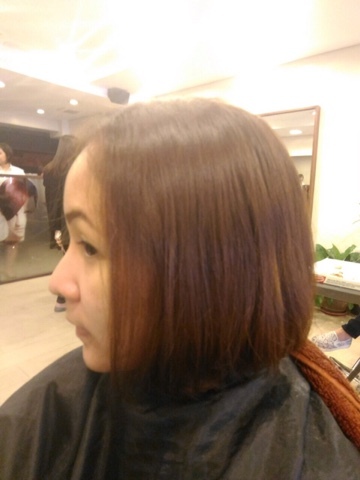 After hair colour, they applied hair treatment using Milbon Linkage Meu. It's supposed to make your hair smoother. These three products are rubbed on the hair strands leaving it for 15 minutes before rinsing. 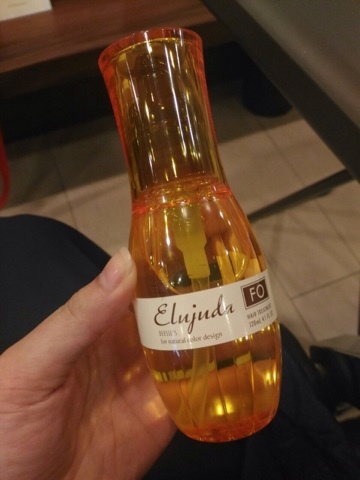 Lastly, a leave-on oil for the hair for that shiny effect. Here are some shots of my new hair colour and newly treated hair! 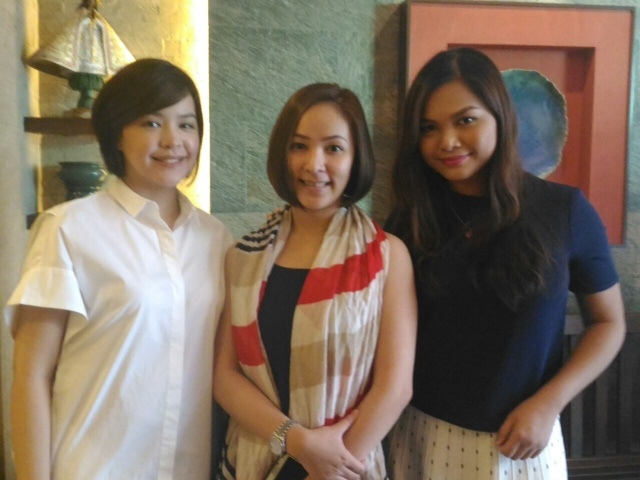 With Cedar Salon owner, Tin, together with Martha of Digify. One thing that I found really unique and comforting with this salon is the fact they they asked me if I wanted my hair to be rinsed with either hot or cold water. I was never this asked this question before in all the salons I've been to! I prefer hot/warm because I hate that 3 seconds brain freeze feeling from cold water. Oh, and that Linkage Meu treatment really made my hair smoother. I thought it was just going to last for a week but I feel that my hair is still smooth. Love this treatment! I'm definitely coming back to this salon once I decide to change my hair colour. Also coming back before the year ends for another Linkage Meu treatment because they're at 20% off! 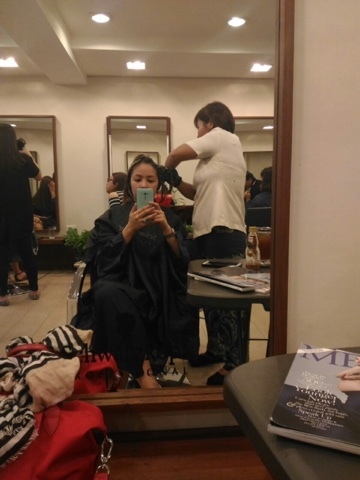 Hair colour starts at PhP1,500. Same with hair treatments. 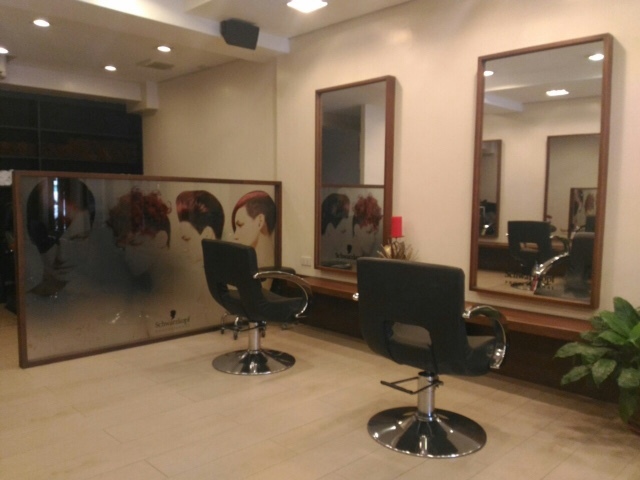 Cedar Salon is located along Wilson Street, San Juan. Just remember that it's besides Emperor Restaurant. You may follow them in Instagram (@CedarSalon) for updates and promos!